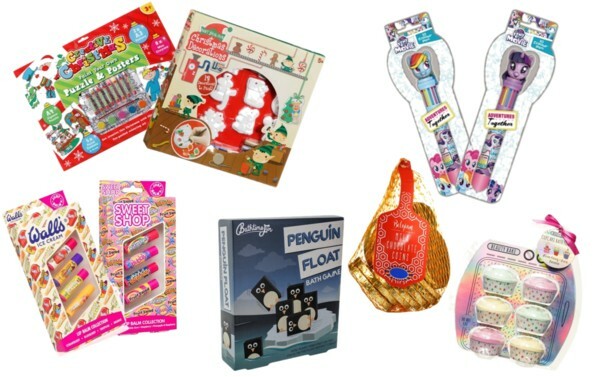 Over the last couple of years special boxes of all kinds full to the brim with little gifts for our little ones to keep busy and to simply enjoy have become a big thing. 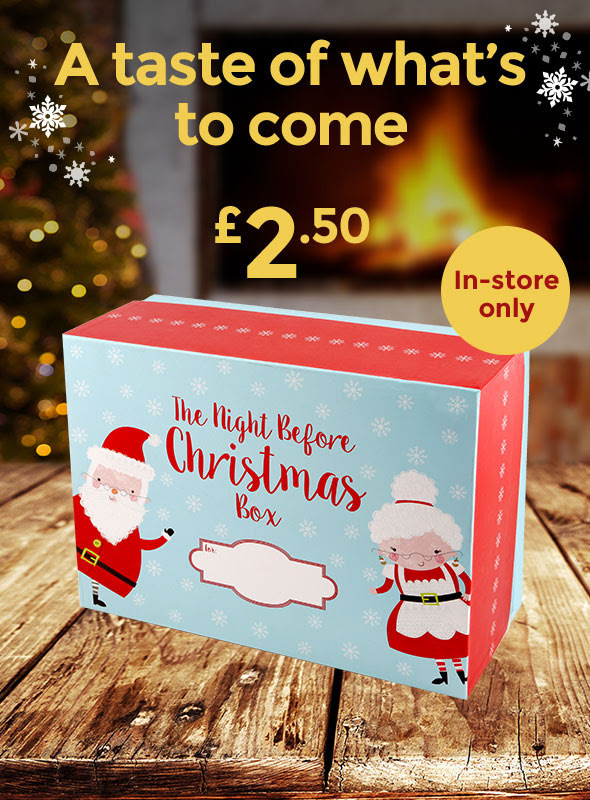 This year shops everywhere have caught on to the trend and you can grab yourself a christmas eve box to fill yourself from places such as ASDA for £2.50 sadly these are only available in stores, Home bargains for £3 and even Poundland! Sadly neither of these I can find a picture of online but I have seen them in my local stores. Your bound to find a box within budget somewhere, Before such boxes were available to buy I purchased a wooden crate from eBay and decorated them myself which you can see 'here' and re-fill it each year. Can I find one the same to make one for L? like hell can I and that's going to drive me insane not having them matching, luckily she's a little small this year so I have time to hunt for the perfect crate ready for next year. Like a stocking Christmas eve boxes don't need to be costly places like Poundland, Poundworld, 99pstores, The works, B&M and eBay are all perfect for finding fillings. For a wide range of age groups The works even have a loyalty card! Everything pictured above is what I came across on The Works website costing no more than £5. This year I'm putting together a little family Christmas Eve box with things like our Socks, Hot chocolate mugs, Pyjamas, Snacks and Hot chocolate mix. As well as the girls individual ones with little treats and things to do, I now put their boxes out to find Christmas Eve morning as I found they didn't have time to get stuck into them doing it of an evening because of either family events going on or bed times ready for us to do our Santa part ready for morning.